MEET: Kevin James Patnode Jr. 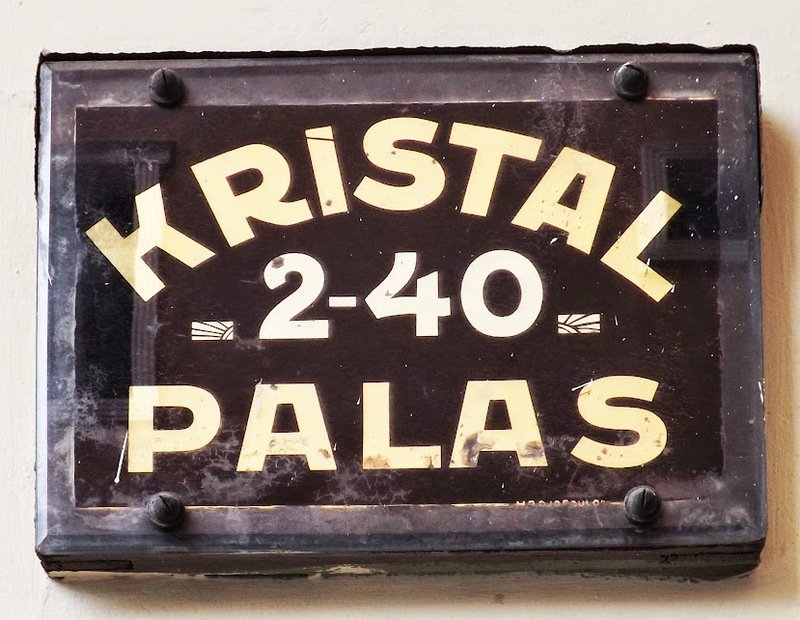 I was drawn to Nopa—a gem amongst Istanbul's countless restaurants and bars—after hearing about Kevin, the bartender who conjures magic in a glass. Admittedly I started this assignment doubtful, "Can't anybody can go to the next-door Tekel, buy a bottle of alcohol, and make a cocktail?" It's clear Nopa has crafted an oasis in the middle of the hectic city. 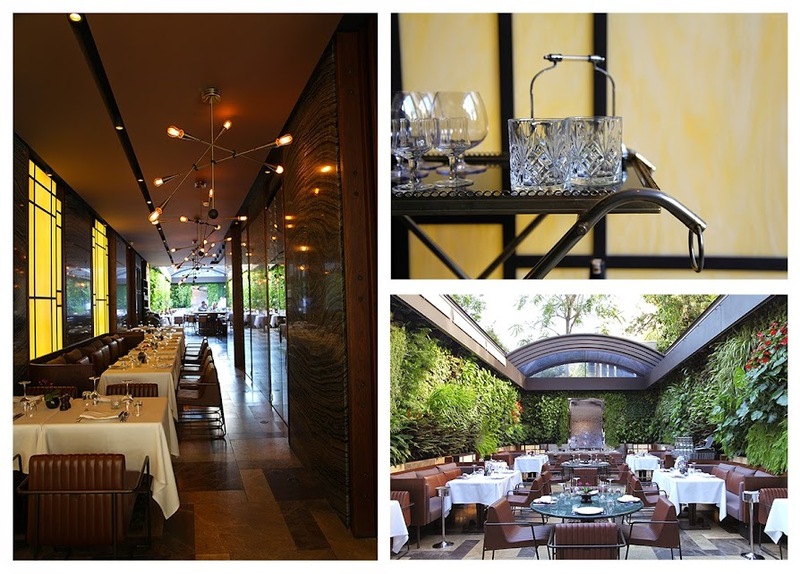 I immediately fall in love with the space: with the grove of living green walls, open-air seating, and vintage crystal decanters glinting around the room. I order a Mona Lisa Vito, a classic Kevin creation, made with a brown butter infused bourbon stirred with smoked maple syrup, Cointreau, and a bit of homemade coffee bitter. 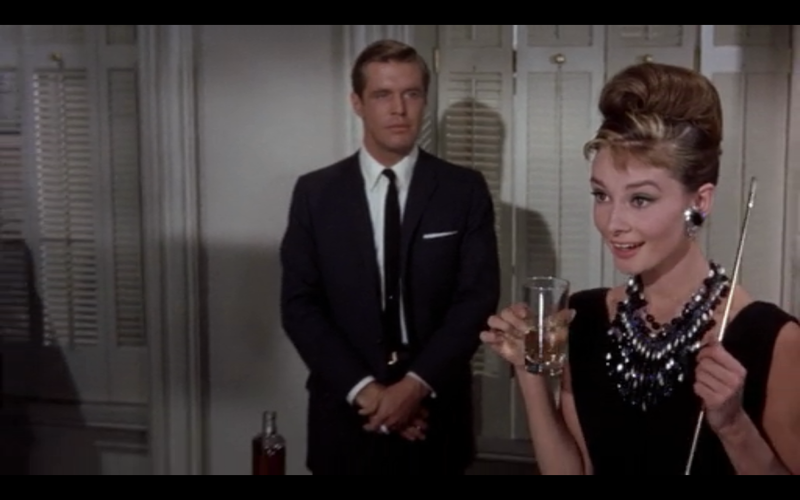 Just one sip melts my skepticism and I am swept up in nostalgia—a small town girl reveling in glamour like Holly Golightly, Audrey Hepburn's character in Breakfast at Tiffany's. Over the rim of my glass I watch Kevin's genuine charm bring the bar to life and I realize his creative touch creates an unreplicable experience at Nopa. 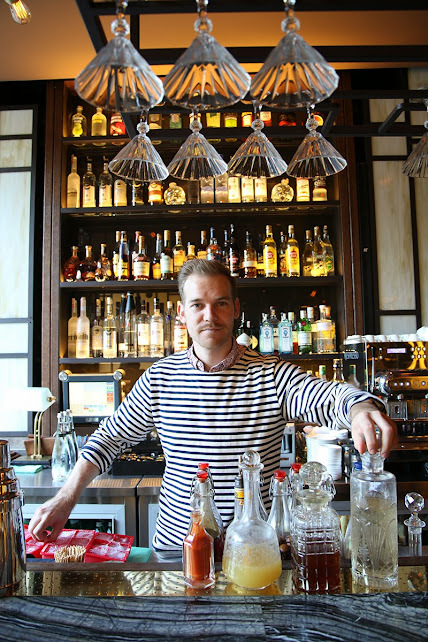 Driven by his love for creating community over the counter of a bar, Kevin is trying to establish a cocktail culture in Istanbul where one doesn’t necessarily exist. 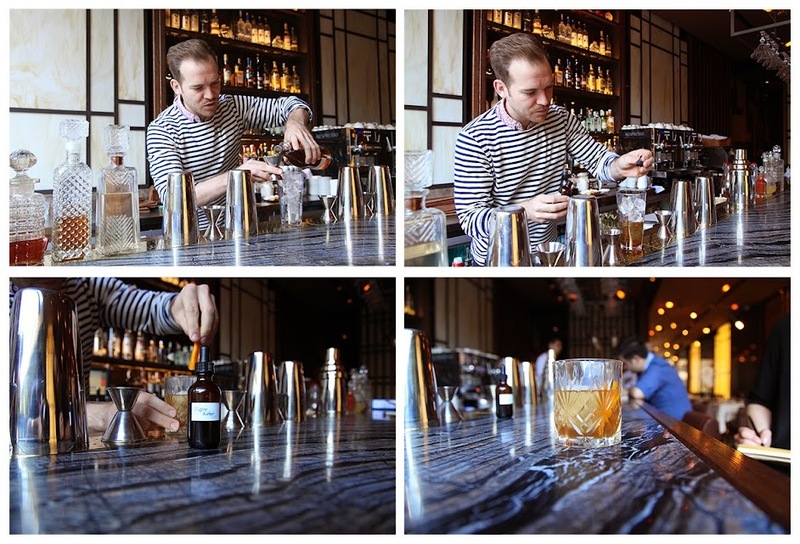 For him, creating a cocktail is really about creating an experience. 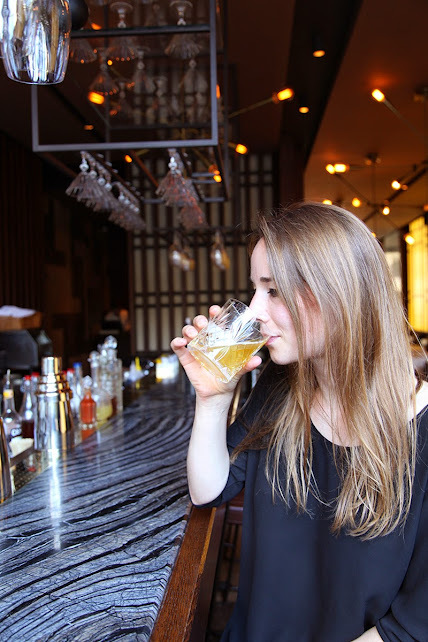 The focus should lie solely on enjoying yourself at the bar: the drink should be delicious, no matter what you order, while the atmosphere should connect you with good company: free of fuss, protocol, and pretension. 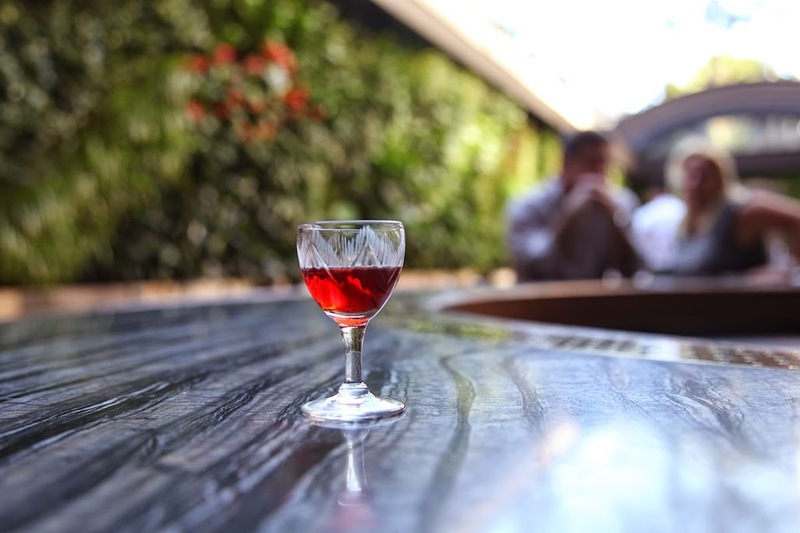 In his opinion, a cocktail ought to be enjoyed just like a glass of wine: like a merlot may remind a sommelier the Loire Valley, the right cocktail conjures a sense of place and feeling for his guests. At Nopa you cannot find bottled juices or industrial syrups—Kevin is a conscious consumer and only uses fresh ingredients in his recipes. Kevin creates a new menu every three months with seasonal ingredients. He has free rein over his cocktails, his co-workers are just as eager as the guests to try out the new menu. Kevin finds inspiration at the Spice Market—also known as the Egyptian Bazaar in Istanbul or "the playground" to Kevin—where ingredients from all over the world are waiting to become his bitters and tonics. By now he knows the owners of the shops so well that he's on spice speed dial: getting a call every time something new comes in. While the summer menu is generally a bit lighter and the winter menu carries a hot cocktail section, popular cocktails are kept on the menus year-round (the most sought after is rightuflly his Bourbon Whisky Sour). Whether you want to try something new or enjoy a favorite, there is a drink for you. Their menu even rates their drinks from classic to experimental and offers a visual scale that shows how light to strong your drink will be. While the menu is helpful, Kevin enjoys talking to the guests about their taste and interests, so these conversations allow him to make the perfect drink for each guest. Some of his cocktail creations were even inspired by customer requests. 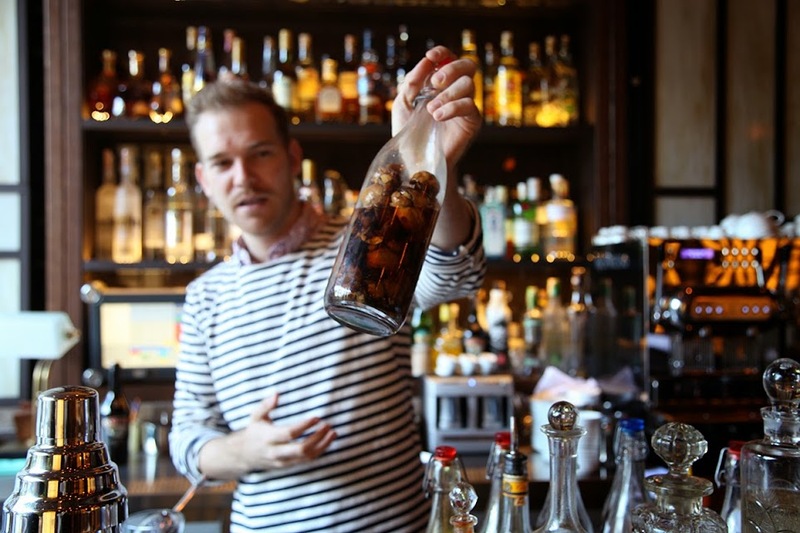 Surprisingly, Nopa's A-List bartender has no formal training. Instead Kevin unknowingly honed a unique set of skills that would set him apart as a top mixologist. He discovered his passion for food early in life over the family table but started learning the basics of bartending to support himself while studying international relations in China. After graduating, he moved back to his family's organic farm in Toronto where he picked up pickling: a skill he now uses to create special infusions. In New York he decided to pursue bartending as a career and, never shy of making bold moves, he landed a job at the prestigious Standard Hotel and quickly earned a position as their bar manager. Next Kevin found himself in Istanbul on a scholarship but soon he realized teaching English was not his calling. As he packed his suitcase, he got a phone call from the manager of Nopa for an interview to run the bar. At Nopa, Kevin feels the trust and support from the team, and genuinely enjoys his friendships with his co-workers. He works closely together with the kitchen, where they share ingredients and recipe ideas. 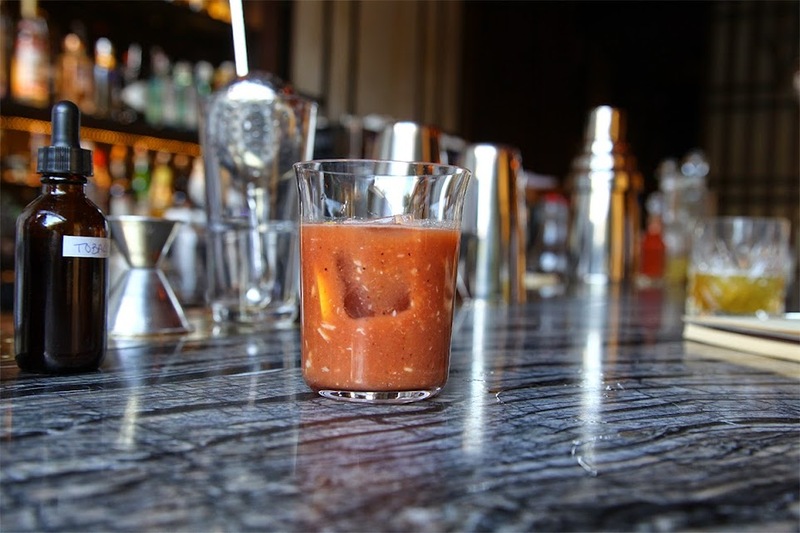 You can taste this collaboration in the Bloody Mary, as the tomato juice is made fresh every day at Nopa's. The tomatoes are grilled to get a nicer aroma; the juice is flavored with twenty different spices and finished with two different hot sauces. Make sure to arrive early to enjoy your Bloody Mary, because once the tomato juice is finished you have to come back the next day. The love Kevin and his team at Nopa have for what they do is visible right down to the last detail. However, there is nothing simple about Kevin's cocktails. From the range of different organic ingredients and spices, the self-made juices and bitters, and the great variety of alcoholic infusions, Kevin’s concoctions are rich and deeply complex. You can really enjoy the richness of the different flavors through each sip. 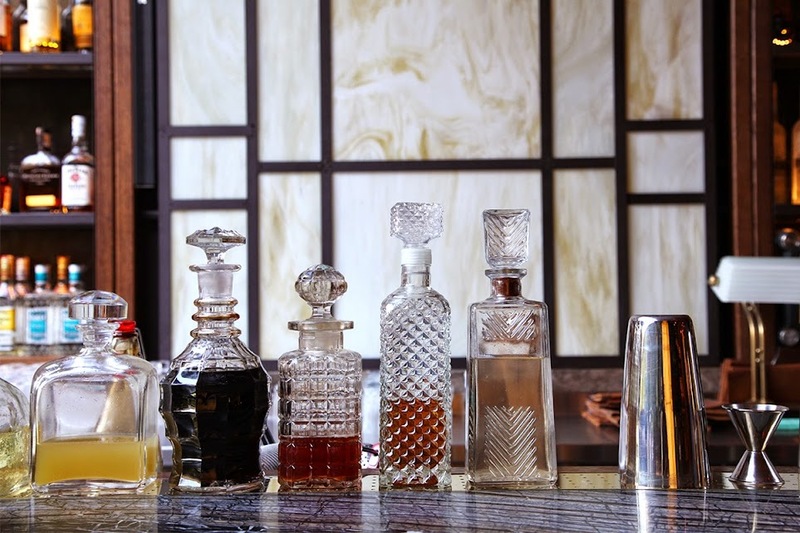 Serving a cocktail is not just about pouring a drink into a glass. It involves a whole process from preparing to serving it.